Henderson Rag Rug in various sizes. 100% Hand-loomed Cotton. Lots of colors which goes with virtually anything. Predominantly browns and off whites with a smattering of many other hues. These casually elegant rugs are very affordable. 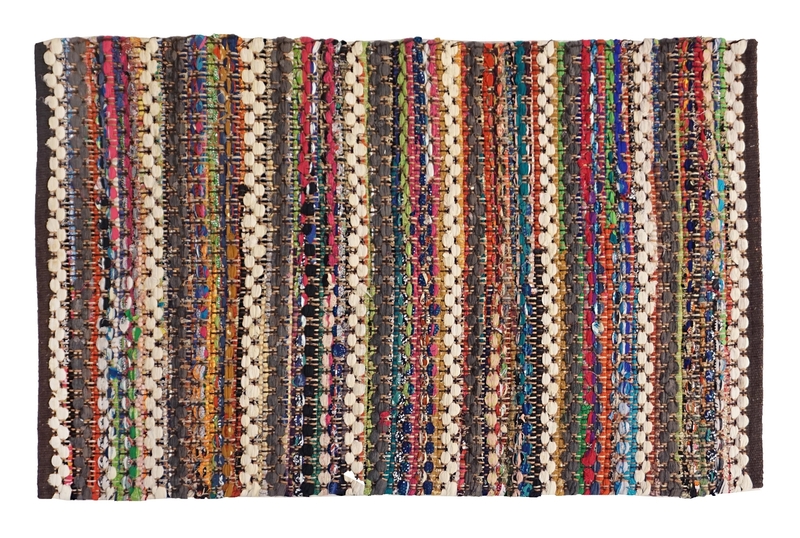 They are woven rugs made from hand dyed cotton rags so slight variations in color may occur. Great quality at reasonable pricing. Suitable for all homes, all rooms. Available in Multi. Since 1938 India Overseas Traders has been producing Rag Rugs, Kitchen and Table Top accessories. Michaelian Home acquired India Overseas Traders in 2018 and continues to deliver the same quality and service that customers came to expect from IOT for nearly 100 years. .